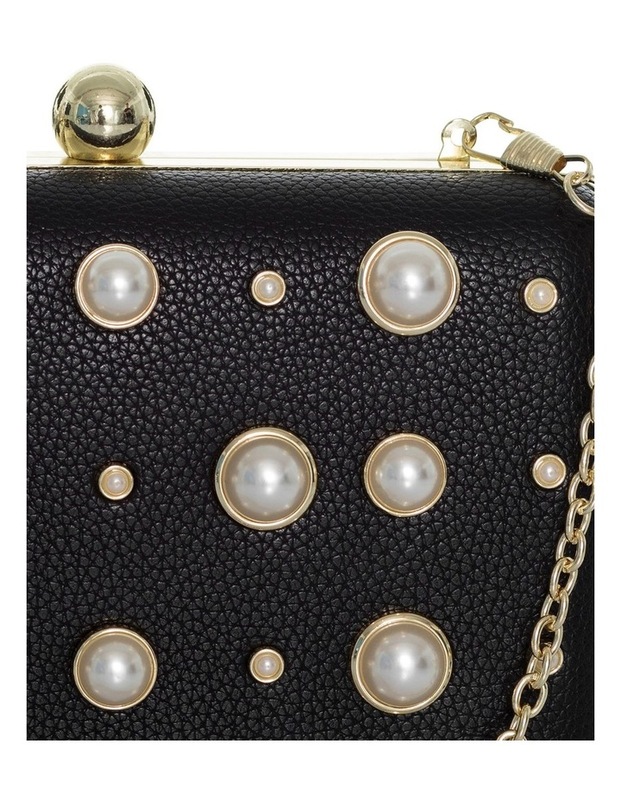 The smaller the bag doesn't mean the less stylish, so go small but go bold with this chic Lizzy Pearl Bag. 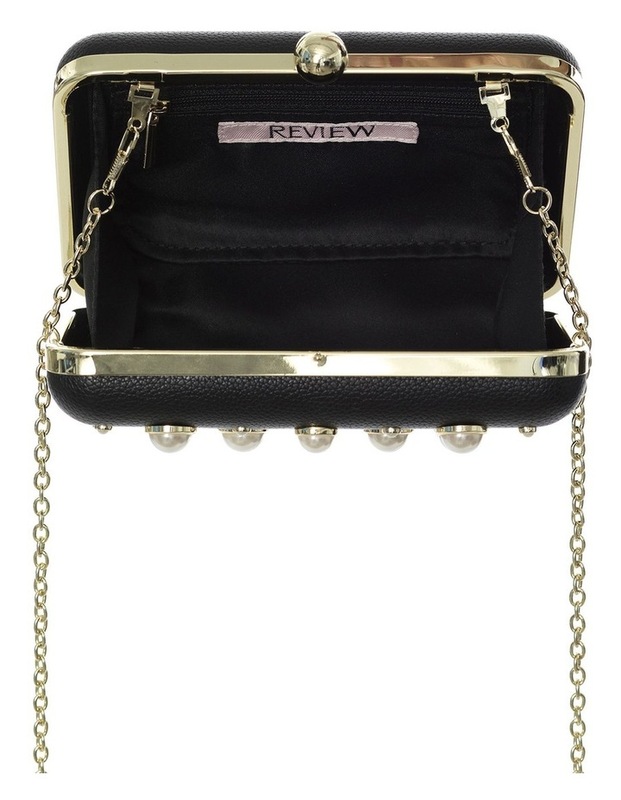 Crafted from a black faux leather and studded with pearl and gold detailing for extra charm. It has gold hardware and a metallic claps to keep your treasures safe.